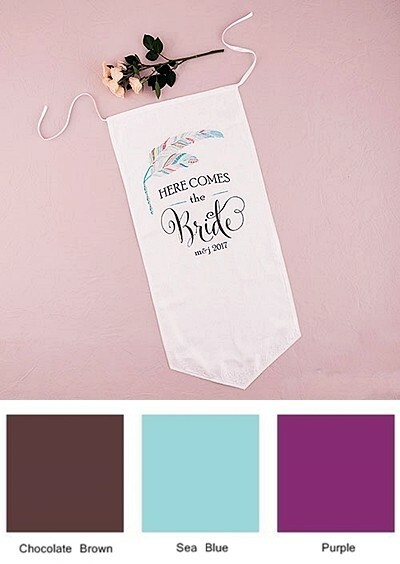 This unique "Here Comes the Bride" banner is made of linen fabric and embroidered embellishments, and features a beautiful and intricate printed-feather design and whimsical font. May be personalized with a custom text line (of up to 8 characters) printed in black. You may further customize the banner by choosing from three beautiful main feather colors. Pictured ribbon ties are included.